At the 2012 Integrative Health Symposium in NYC, I learned about Double Helix Water (DHW) Ultra-Pure Stable Water Clusters and how it works like acupuncture. Admittedly, I was a little skeptical about DHW Stable Water Clusters reducing inflammation, however, I was open to learning about the growing scientific research in this area. Peer reviewed medical journal articles, medical studies and thermographic images have produced evidence that strongly suggest that DHW can reduce muscle and joint inflammation, improve post-exercise muscle recovery, and decrease the frequency of headaches. Double Helix Water is a concentrated form of a newly discovered (about 100 years ago) fourth phase of water known as Stable Water Clusters — a solid phase of water that does not melt at room temperature and has a positive polar charge. Its polar charge and other unique properties are what scientists believe give it interesting applications for health and healing. According to Dr. Shui Yin Lo (with whom I have had the opportunity to speak personally) and his engineering research partner, David Gann, Double Helix Water works like acupuncture by clearing the meridian systems to enable Qi (healthy energy) to flow smoothly. Under an atomic force microscope at the California Institute of Technology, photographs demonstrated that stable water clusters line up end to end to form circuit-like structures. The measurable polar charge and its double helical structure are likely the properties of Double Helix Water that enable it to have a similar effect as acupuncture. It is thought that over time, drinking Double Helix Water (and using its infused creams) may help your body bypass blocked or misaligned meridians allowing Qi to flow freely through your body. By restoring the body’s meridian system, Double Helix Water may help the body self-heal and offer support to the immune system. When I began to understand how DHW works like acupuncture, it began to make sense to me why it was possible that these polarized helical clusters of water could in fact address so many different body systems. “First do no harm” is one of the guiding principles of healthcare. Using that philosophy, I knew there was no down side to trying the Double Helix Water and the personal upside of feeling better could be tremendous. That was how I made my decision to try it. Research aside, I wanted my own experience. I really wanted to feel better. For several years, I had been experiencing a lot of inflammation in my body — aches and pains particularly in my neck and shoulders and frequent migraine headaches. At the show, thermographic images were taken of me before drinking Double Helix Water (and applying the DHW cream to face and neck acupoints) and then again, 15 minutes later. While I did not feel noticeably different immediately after drinking the water, the improvement in the “after DHW” thermograms convinced me to try a Double Helix Water protocol and see if it would help me feel better. I am thrilled to say that Double Helix Water has helped me tremendously. The positive results were not immediate. It took several months to get the positive results and I needed to adjust the daily dose, but my pain is gone, my aches are few and I rarely get a migraine anymore. I continue to take DHW on as as needed basis, paying attention to how I feel. 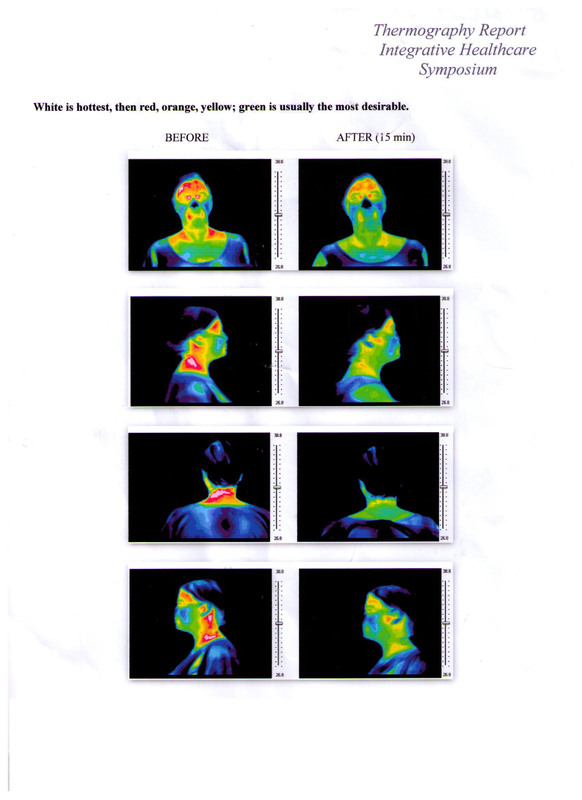 It is believed that the origin of the hot lines (meridians) and hot spots (acupoints) that are visible in thermal images are due to the inflammation of the organs, tissues, and bones along the meridians. According to Meridian theory in Chinese medicine, it is possible to interpret these hot spots and hot lines to understand the state of a person’s well-being. I’ve already mentioned how the creams infused with Double Helix Water can target areas of tired, sore muscles, before and after workout. 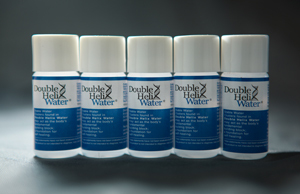 Double Helix Water is also currently working with a team of world class runners using higher dosages. Many on the team report that using 15 drops of Double Helix Water in 2 ounces of distilled water before workout (or competition), 15 drops after workout (or competition) and 15 drops again later that day speeds their body’s recovery time by allowing the body to heal itself. With the incidence of autism rising and treatment often remaining elusive, many families are participating with Dr. Shin Yin Lo in his study of Double Helix Water and Autism and have reported encouraging results. Working with autistic children, Dr. 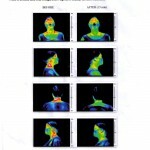 Lo has reported on a significant reduction of heat along the yang meridians (as measured by infrared thermography), as well as autism-related physiological and behavioral improvements, after taking Double Helix Water. His studies suggest that blockages in the meridian system can be reduced by taking Double Helix Water, which then triggers the body’s self-healing mechanism and enables it to help reduce some of the manifestations of autism. These findings suggest that Double Helix Water may be an effective, natural treatment for some with autism. The primary job of red blood cells (RBCs) is to transport oxygen throughout the body. When RBCs cannot float freely or their disc-like shape is compromised, they cannot perform this job properly; this can result in illness and disease. A Florida medical practitioner has used live blood samples to demonstrate a dramatic improvement in the quality of the red blood cells in several of his ill patients after they were on a Double Helix Water protocol. You can view these cases below. Before: irregularly shaped and weak, deflated red blood cells stacked together. 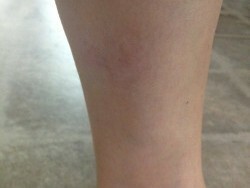 After: red blood cells more consistently round, plump and no longer stuck together, moving freely. Before: irregularly shaped red blood cells, many stuck together, Lyme spirochete and bacteria evident. After: consistent round plump appearance of red blood cells, no longer stuck together, moving freely, Lyme spirochete and bacteria greatly reduced. Before: irregularly shaped red blood cells “stacked” together like coins (medical condition referred to as Rouleaux). Rouleaux affects proper oxygenation. (Red blood cells do not circulate well enough to deliver oxygen where it is needed.) This condition favors growth of unhealthy organisms. After: red blood cells looking much healthier, full, round, uniform, no longer “stacked” together, red blood cells able to move freely. Data and clinical experiences continue to demonstrate that using Double Helix Water over time can help the body function at a more optimal level. 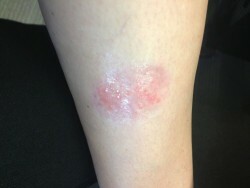 I have a client who experienced a very bad burn on her leg while riding as a passenger on a motorcycle (from the hot exhaust). She used the Double Helix Water Skin Cream (not in conjunction with the Double Helix Water) for several months to support the healing process. These “Before” (initial burn) and “After” (several months of using Double Helix Water Cream) photos illustrate the incredible healing results. You have to Look Closely… you can now only see a light image on the skin of the burn!